November marks the start to the tourist season in most parts of India as temperatures begin to drop and the rain season is definitely over. Temperatures rank between 20 and 31 °C (68-88 °F) all over India, with lower temperatures in hill station north and south as well as in the night in the desert of Rajasthan and higher temperatures in certain areas in South India. November is a fantastic month to travel to India as it is still not as crowded as in December, January and February, but the climate is pleasant and there are many fun festivals to participate in. Since the climate is fairly pleasant in all regions it would be a great month to travel all across India, from North to South, East to West. Depending on the moon calendar, the most popular Hindu Festival Diwali is celebrated between Mid-October and Mid-November. It is also called the festival of light as it signifies victory of light over darkness and good over evil. All buildings are decorated with lights from traditional oil lamps to shiny fairy lights. 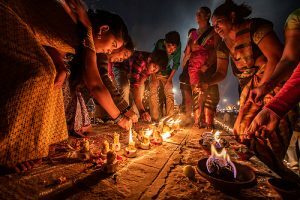 At night there are fireworks everywhere and families and friends come together to feast, exchange gifts and to partake in ‘Puja’, a religious praying ceremony. 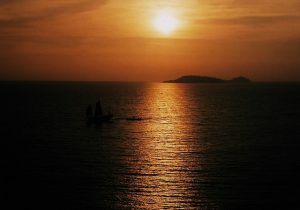 The celebrations last for five to seven days around the main holiday. 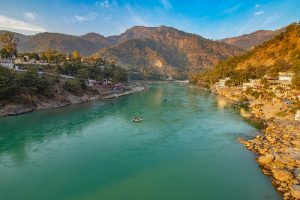 It would be a fantastic time to stay at a homestay with a local family in North India, where it is celebrated more than in the South. India Someday can suggest many hospitable accommodations where families would welcome you to join the celebration with open arms. There is one drawback though. For the week before and after Diwali train and flight tickets are often booked out weeks to months in advance or are very expensive. It is advisable to book far in advance to guarantee your travel plans around this time of the year. You won’t face the same issues for hotel bookings as domestic tourism is low during the festival but it would we be still good to plan ahead, especially for spiritual places like Varanasi, Pushkar or Rishikesh. One of the biggest folk festivals in India and the biggest camel fair in the world. The first days are all about camel trading, races, music and folk art while for the last day many pilgrims flock to the small town for the religious part of the event. In the final full moon night Hindus bath in the holy lake to free themselves from all sins and light up the town with oil lamps and fireworks. It would be very crowded and it is hard to find available accommodations, prices soar 5-10 times higher as the usual room rates for the rest of the year. But it is surely a great experience. 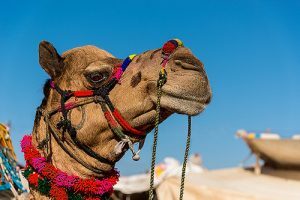 We can help you plan a visit to Pushkar during the fair well in advance but we might not be able to find a place to stay for the spontaneous travellers. This event takes place 15 days after Diwali in Varanasi and is also called the Diwali of the Gods. It is believed that the gods descend in the night of this auspicious date and take a bath in the holy river at Varanasi. 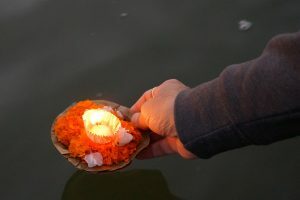 Therefore, millions of small earthen lamps called diyas are lit and out along the ghats leading to the river. Many pilgrims come to bath in the river and set oil lamps afloat on the river. This is definitely a stunning sight to observe, especially from a boat on the river! This is one of the most significant celebrations in Sikhism, marks the birthday of first Sikh Guru, Guru Nanak. 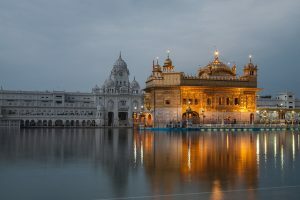 It would be a great day to be at the Golden Temple in Amritsar or to visit any Gurdwara (Sikh Temple) in India. The very north of India in the mountain ranges of the Himalayas the tourist season ends by September or October due to cold temperatures and difficult weather conditions that isolate many regions from the rest of the world. Since many hiking routes and travel connections are anyways closed we would suggest avoiding Ladakh, Kashmir and parts of Uttar Pradesh and Uttarakhand, except if you like very low temperatures and maybe even snow. However, with warm clothes and the right expectations you can still visit Dharamsala and McLeodGanj, Rishikesh and the surrounding mountainous landscapes or Shimla, Manali and other hill stations. Travelling to the northeast is possible too but it might be even colder. In Rajasthan the temperatures will slowly drop during the month of November. While at the beginning of the month you can easily face 35°C (95°F) in the day time it might end up being less than 10°C (50°F) at night, especially in the desert. So you would need to be prepared for extreme temperature variations. Good news: you will most likely get no rain at all and blue skies all month. The same applies also for other places in the North like Agra, Khajuraho, Orccha and Varanasi. The National Parks reopen in October and are very busy in November, also due to the domestic school holidays around Diwali. So try to book safaris long in advance. Check out our suggestions for two weeks trips in North India here. 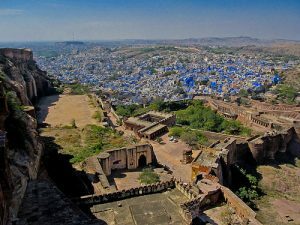 We also made a list of the 20 best places to see in North India. The south-east Monsoon hits mostly the east coast of India last from mid-October to mid-December and brings a lot of rain and storms to Tamil Nadu. It rains less in the countryside and in the plains but more at the coast (Chennai, Mahabalipuram, Pondicherry) and in the higher places (Ooty, Chettinad). So make sure you pack your umbrella on a trip from the east to the west coast or vice versa. Kerala is windward to the monsoon so it might get a little bit of rain too but not as much as in the previous months. The temperatures can range between 18 and 32 °C (65-90 °F), higher at the coast and in the plains and lower in the mountains of the Western Ghats. Read about the best time to go to Kerala here and about four travel routes through ‘God’s own country’ here. In Goa the season finally kicks off with many resorts and restaurants along all beaches re-opening at the beginning of the month. The rates are lower than in December and January and the chances of availability are good. However, Goa gets more and more popular every year so you might want to book your beachside hut in advance. All in all, November is a great month to travel due to fantastic weather conditions, exciting festivals and medium-high season rates. If you are planning to escape the wet and grey autumn weather at home, plan your trip with us to experience an interesting culture, amazing landscapes, nature, as well as lots of sunshine!